With today being the first of November, it's that time of the month again, for the favourites of course (what were you thinking about). Lately I am always forgetting the month is coming to an end until I start seeing favourites posts popping up in my news feed. 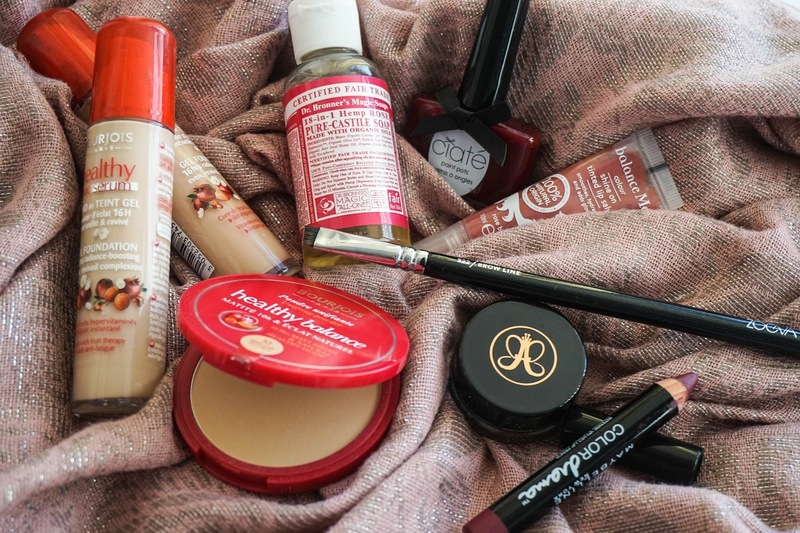 So as I quickly gathered up my most used beauty products this month, I realised they were all new purchases bar one oldie but a goodie. Without further ramblings from me, lets get started on each product individually. 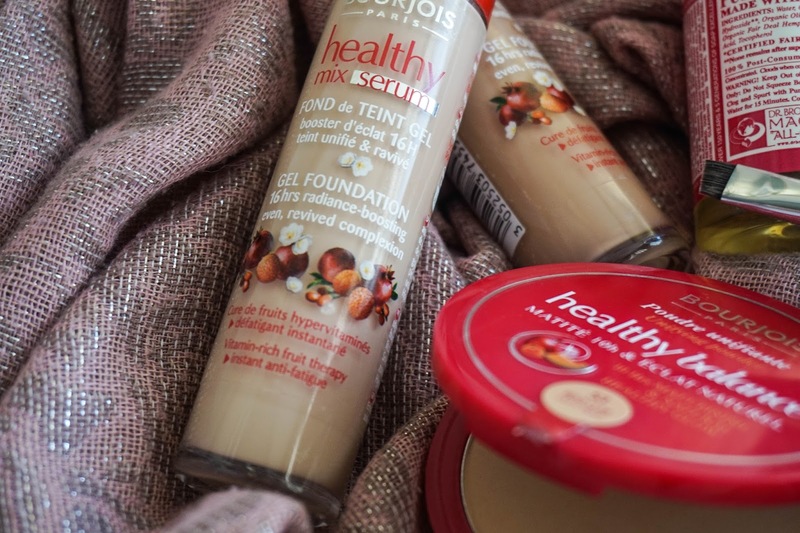 First up is the oldie out of the bunch, the Bourjois Healthy Mix Serum Foundation. I have this in two shades as I accidentally picked up one of the darkest shade on offerings first time around, so to make it work I went back and also picked up the lightest shade. This worked out great in the end as I am now able to wear this foundation all year around regardless of how tanned or pale I am as I simply mix the two colours to match my current skin tone. At the moment this is the only foundation that looks and performs well on my dehydrated skin with an oily t-zone, because it doesn't accentuate dry areas on my face and with a little bit of powder I am good to go. Now onto the powder I have been using with it, which is also a Bourjois offering, the Healthy Balance Powder. I only bought this a few weeks ago and I honestly regret not buying it sooner, it's amazing. The powder is creamy and buttery to the touch, as it applies flawlessly on the skin without that powdery look to it. I simply love it and have been reaching for it everyday since buying it. 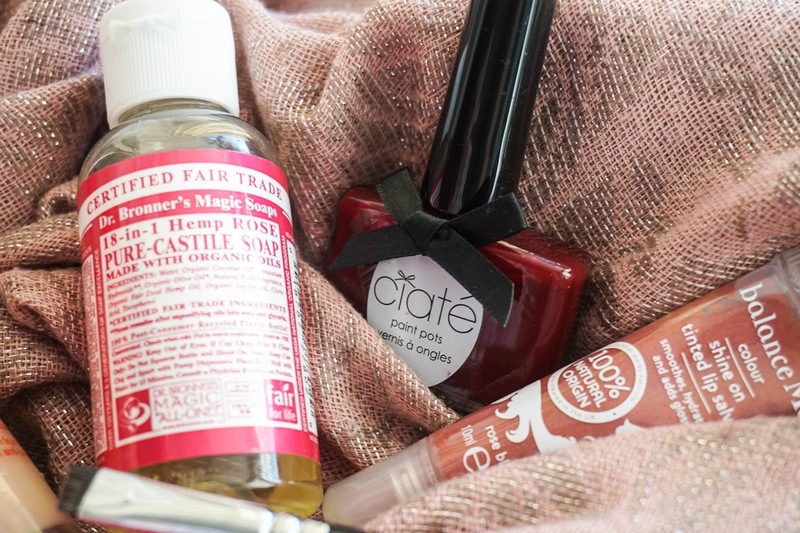 Next up I have my three favourite products from the #BloggersTeaParty goodie bags so far. As I mentioned and showed you before we got a ton of beauty goodies that day so I am gradually trying to make my way through everything but so far my most used products from the bunch are these in the photo above. First up is the Dr. Bronner Magic Soap in Rose, which I will do a full posts featuring this in my 'cleaning makeup brushes' posts which I have planned. But for now I will just tell you that this stuff smells amazing, so florally & fresh, it honestly makes the dreaded brush cleaning chore that little bit easier to handle. Not only that but it cleans the brushes amazingly, leaving them sparkly clean by the end of it all. Then I've got the Ciate Pain Pot in Dangerous Affair, which I've actually posted on Instagram showing you how it looks on the nails. It's simply a stunning shade, perfect for this time of the year. I only needed to apply two coats to achieve the intensity I wanted from it and it lasted a good few days before chipping started to appear, so that's a thumbs up from me. Last from this bunch is the Balance Me Shine On Tinted Lip Salve, which is my first product from this brand and I have been left impressed. This is a great way to keep my chapped lips hydrated whilst adding a touch of colour. What I love most is how glossy it is for the fact that it's a moisturising lip balm. The last beauty products of the month are some more new additions. 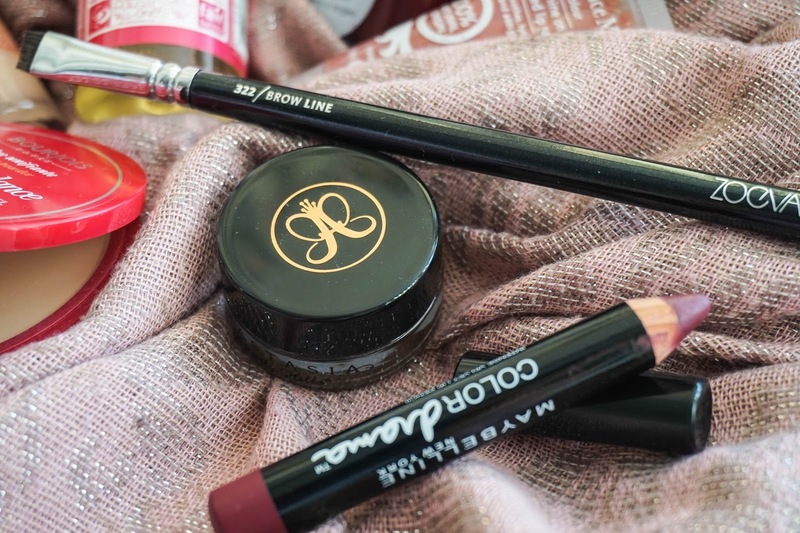 I just had to include the Anastasia Beverly Hills DipBrow Pomade in Dark Brown, as I have been raving about it since buying it. It took me a little while to learn the proper application of this formula but once I got the hang of it my brows have been ever so thankful and I have been one happy gal. I did a post on it here if you wanna read some more on this cult product. The perfect brush for me with this product is the Zoeva 322 Brow Line as it just makes application so much easier. This time of the year I had to include a dark berry lippy and the one that I've been loving lately is the Maybelline Color Drama in Berry Much. This is such a gorgeous shade and the formula is bang on, as it's creamy yet long-lasting. 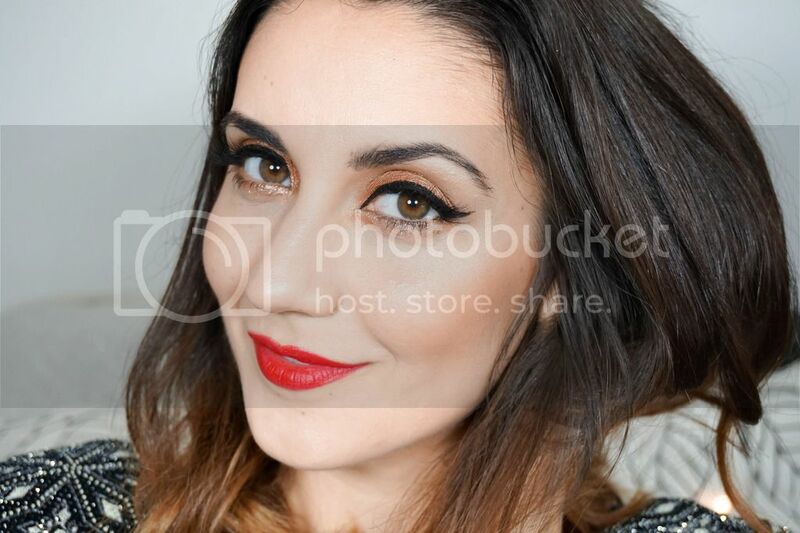 If I'm going to wear dark lips confidently I want my lipstick to last so I don't have to worry about re-applying every few minutes, so this really is the product for me. 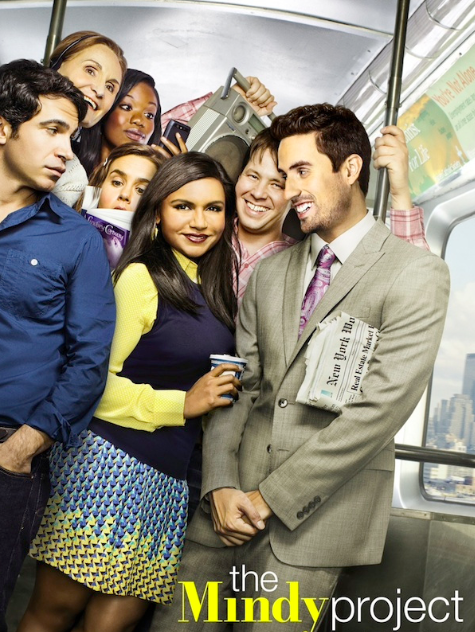 I love including non-beauty related favourite in my post and this month it's been The Mindy Project TV show. I am so happy the new season has started and I have loved watching every single episode so far. The last one in particular, episode 5, had me in absolute stitches, literally crying with laughter, it was that funny. So for any of you who haven't watched this yet I highly recommend it.